The Taguspark Academic and Human Resources Unit mission is the management and organization of all academic subjects in accordance with the guidelines and strategy of the School, to harmonize the student's access to information, accompanying their course until obtaining the respective Academic degree. Ensure maximum quality, safety and speed in the management and in the processes related to the human resources of the Taguspark Campus. 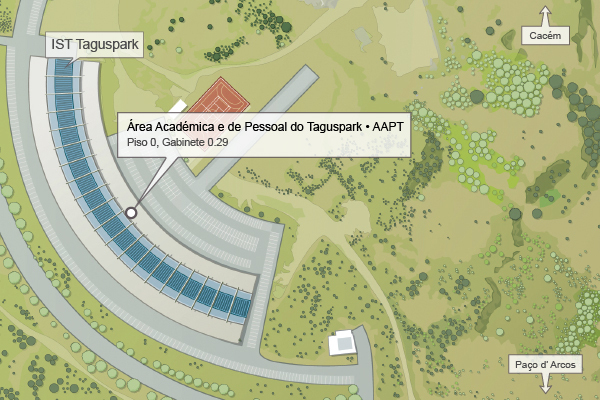 Do you want to go to the Taguspark Academic Unit? Now you can get your service ticket in the Técnico app. Registration for the special exam period for 2016-2017 runs from July 6 to 13.